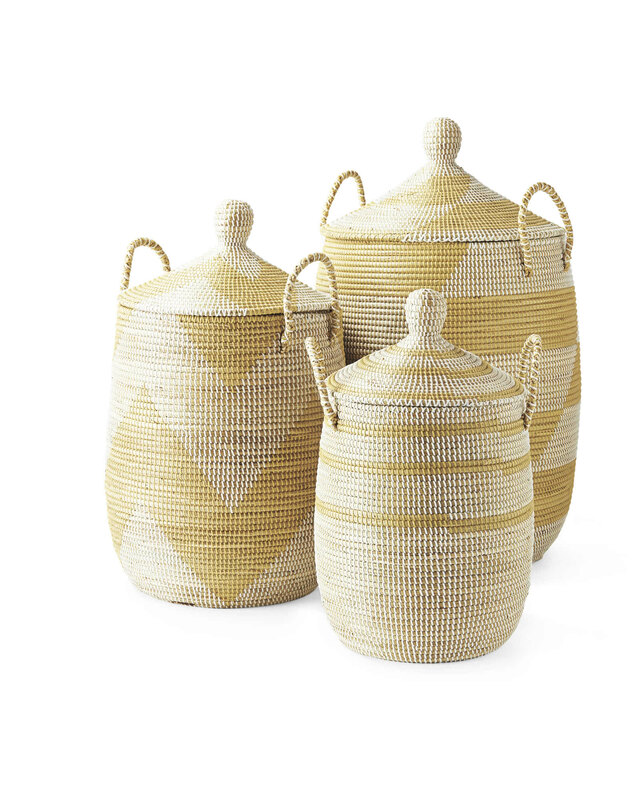 La Jolla BasketLa Jolla Basket, Natural alt="La Jolla Basket, Natural"
Estimated ship date is 5/22/2019. Print A bright, beachy take on a classic look. 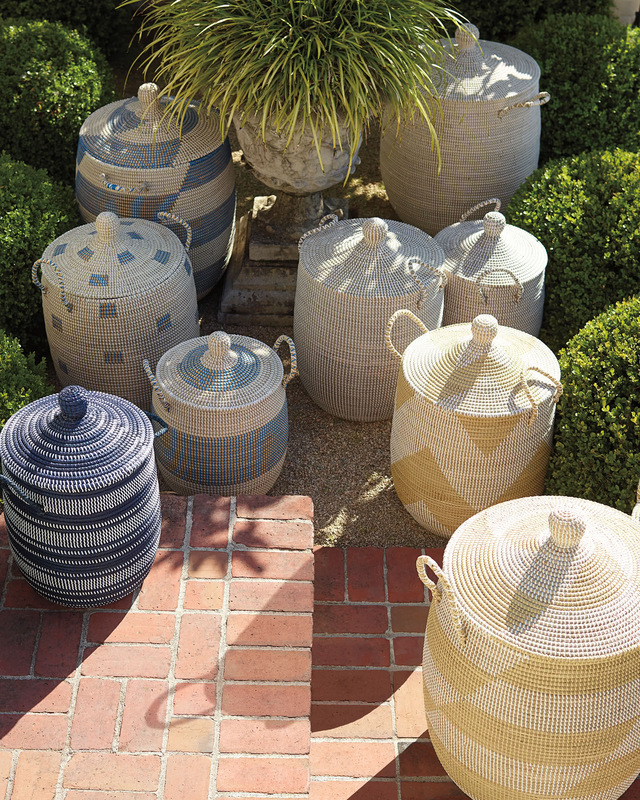 Beautifully handmade, these covered baskets are a fun and textural way to store everything from toys to craft supplies, linens to laundry. Strips of recycled plastic are wrapped around coils of seagrass to create bold patterns. Due to the hand-scrafted nature, no two are exactly alike. 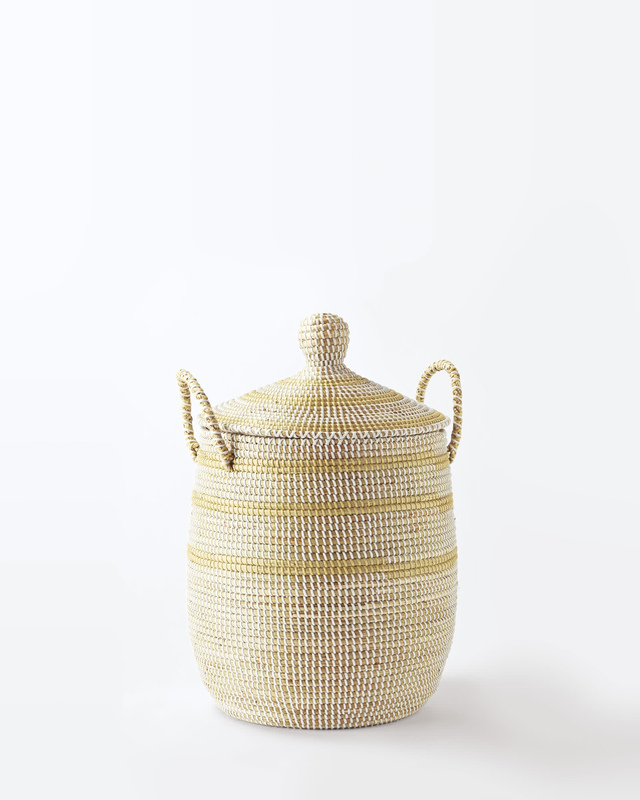 Handwoven of seagrass and plastic. Medium: 18" DIAM x 25"H.